Summary: The risk of hand injuries can be significantly reduced with a few simple measures taken by employers and employees. While many industries in the United States use machines in the workplace, it is common knowledge that many machines can fully replace the skills of humans workers. Machines make laborious jobs easier and complete the work faster; however, they too, need to be operated by hands. In the United States, more than one million workers visit the emergency room for hand injuries every year. 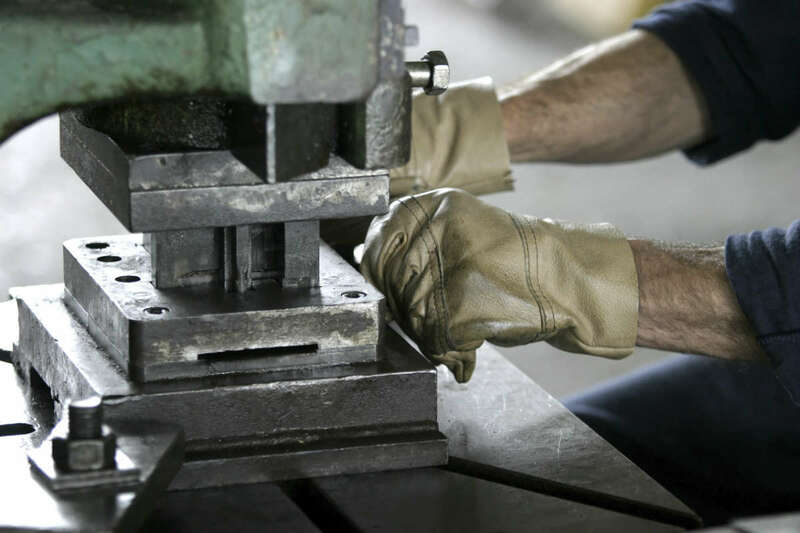 Hand injuries are one of the most common injuries that are seen among workers, however, they are most commonly found in the manufacturing industry. The most common types of hand injuries found among manufacturing industry workers are blunt trauma, fractures and dislocations, cuts and punctures from sharp objects, burns, abrasions, injury due to chemical exposure and amputations. The manufacture industry has an increased risk for hand injuries among workers. These hand injuries are caused by a number of factors, and at times, a combination of these factors. Lack or absence of safety training provided to workers. Lack of judgement and poor decision making by employees. These factors or a combination of these factors can cause severe accidents at work leading to hand injuries. Recently, a tragedy in Illinois resulted in a new untrained employee losing his hand. The employee was operating a band saw without proper protective gear. Unaccustomed to working in shifts, the tired employee’s hand slipped while operating the machine and came in contact with the sharp blade, resulting in the employee losing his hand. Almost 20% of all on-the-job injuries are hand injuries. About 70% out of the one million on-the-job hand injuries reported are caused due to workers not wearing gloves. About around 110,000 people miss one or more work days due to hand injuries. Workers compensation claims for hand injuries average at about $7000 per case. A significant number reach five digits whereas a few even reach six digits. Thankfully, risks of hand injuries can be significantly reduced with a few simple measures that need to be taken by the employers and the employees themselves. Firstly, proper personal protection equipment should be made available to all workers by their employers. A large number of injuries happen due to lack of personal protection equipment, and according to the Liberty Mutual Research Institute, about 60% of hand injuries can be prevented with the consistent use of protective hand gloves. Educating workers about correct safety practices while handling hazardous equipment. Providing training regarding safety as well as proper handling of equipment. Providing and encouraging workers to use correct ergonomics, especially during repetitive tasks. Employees, who sustain hand injuries at work, should seek proper medical treatment to avoid aggravating an otherwise temporary injury. Employees should be made aware that they can seek workers compensation for any hand injuries that require medical treatment beyond basic first aid. If you have been injured on the job, you should speak with an experienced St. Louis workers compensation attorney to learn more about your legal right to compensation. Call the Law Office of James M. Hoffmann today at (314) 361-4300 to schedule a free consultation.